CLEAN SEED CAPITAL GROUP LTD. ANNOUNCES STRATEGIC ACQUISITION OF U.S. BASED HARVEST INTERNATIONAL, INC.
industry and Clean Seed Capital news. and Clean Seed Capital news. July 17, 2018 – Vancouver, British Columbia – Clean Seed Capital Group Ltd. (“Clean Seed” or the “Company”) (TSX-V: CSX), is pleased to announce that it has entered into an agreement (the “Agreement”) dated July 16, 2018, to acquire Harvest International, Inc. (“Harvest International”) for $13,100,000 USD and future additional earn-out considerations. Pursuant to the Agreement, Clean Seed will acquire 100% of the shares and outstanding shareholder loans of Harvest International together with Harvest International’s manufacturing facilities located in Storm Lake, Iowa from the Friesen family (the “Acquisition”). The Friesen family has been extremely successful in the agricultural manufacturing business since 1963, firstly as the founders of Meridian Industries, subsequently founding Friesen of Iowa and then most recently, Harvest International. Harvest International was founded in 2007 with a commitment to design, develop and manufacture high quality augers and conveyor systems. After several years of success and a firm ear to the farming community, Harvest recognized an opportunity to add significant value to the planter market. In 2014, they transformed their business by creating and developing farmer focused planter technologies to complement their product offerings. Harvest International successfully secured patents for key components of their planter row units setting them apart from the competition. They subsequently developed and patented a unique toolbar design from the same farmer focused philosophy which has allowed them to advance from component producers towards full planter producers. To focus primarily on advancing its planter business, Harvest International sold its auger and conveyor product lines in 2017 and transformed its 75,000 square foot manufacturing facility and head office in Storm Lake, Iowa to commit 100% to the planter market. Harvest International has become a respected, recognized brand in the U.S. farming community by delivering farmer-driven, high quality products. Demand for their products continues to grow at a rapid pace. “Following the recent granting of Clean Seed’s patents in the U.S., we embarked upon a program to source a synergistic industry partner that could accelerate our growth and position our company to play a major role in the U.S. and international planter markets, complementing our SMART Seeder technology initiatives. One company stood out as a seamless fit for Clean Seed, U.S. based Harvest International. This transaction is a transformational event for our collective organizations and drives our speed to market. Clean Seed will satisfy the purchase price of the Acquisition by way of: (i) the issuance of 8,000,000 Clean Seed common shares at closing, which will be subject to the standard four month hold period under applicable securities laws and TSX Venture Exchange (“TSX-V”) rules; (ii) a cash payment at closing of $2,580,718 USD, subject to customary closing adjustments; (iii) the assumption or restructuring at closing of notes payable of Harvest International and an affiliate aggregating approximately $7,519,282 USD; and (iv) future additional cash payments of up to $6,000,000 USD, based on Harvest International’s achievement of certain earn-out performance milestones, which will be paid out at the earliest in $2,000,000 USD annual installments over a three year period from December 31, 2019.The Company has initiated discussions with tier one Canadian financial institutions specializing in agriculture to provide structured debt financing to facilitate the Acquisition. On closing of the Acquisition, Byron Friesen, President and CEO of Harvest International, and other key Harvest International management will continue in their senior management roles. Byron will also be appointed to Clean Seed’s board of directors. Closing of the Acquisition is subject to a number of conditions including: (i) obtaining all necessary regulatory approvals, including the approval of the TSX-V; (ii) completion of satisfactory due diligence; (iii) Clean Seed having obtained financing necessary to pay the closing cash portion of the purchase price; and (iv) other conditions typical of a transaction of this nature. Clean Seed anticipates closing the Acquisition in late 2018. The common shares of Clean Seed are currently halted from trading on the TSX-V at the Company’s request and will remain so until the TSX-V has received all requisite documentation in connection with the Acquisition. 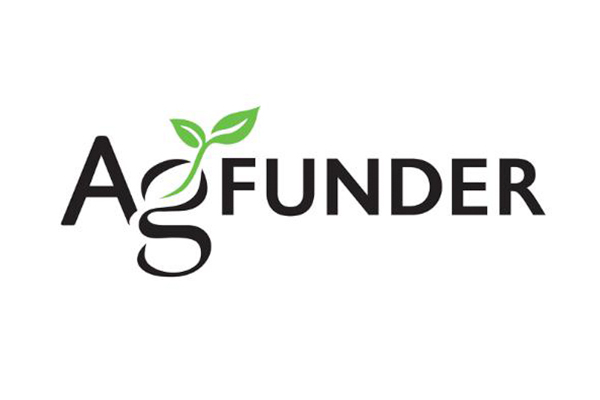 About Clean Seed Capital Group Ltd.
Clean Seed is driving technology development in modern agriculture by rapidly designing, patenting and producing highly advanced seeding and planting technologies. We are the creators of the world’s first and only award winning SMART Seeder™ technology, which is secured by our portfolio of intellectual property. Our CX-6 SMART Seeder™ has set the seeding equipment benchmark by enabling true execution of high resolution seeding prescriptions at each square foot of the field to suit soil conditions and fulfill agronomist recommendations, an industry first! The common shares of Clean Seed are listed on the TSX-V and trade under the symbol “CSX”. For further information please contact Clean Seed at 604-566-9895 and visit our website at http://www.cleanseedcapital.com. This news release is not an offer or a solicitation of an offer of securities for sale in the United States. The common shares of Clean Seed have not been and will not be registered under the U.S. Securities Act of 1933, as amended, and may not be offered or sold in the United States absent registration or an applicable exemption from registration. This news release includes certain “forward-looking statements” as defined under applicable Canadian securities legislation. Forward-looking statements are necessarily based upon a number of estimates and assumptions that, while considered reasonable, are subject to known and unknown risks, uncertainties, and other factors which may cause the actual results and future events to differ materially from those expressed or implied by such forward-looking statements. In particular, this news release contains forward-looking statements concerning the anticipated completion of the Acquisition, the anticipated terms thereof, the anticipated timing thereof and the anticipated benefits thereof. Clean Seed has provided this information in reliance on certain assumptions that it believes are reasonable, including assumptions as to the timing of receipt of the necessary regulatory, stock exchange and other approvals and the satisfaction of and time necessary to satisfy the conditions to the closing of the Acquisition, including the Company’s ability to obtain the requisite financing to fund the cash portion of the purchase price. These dates may change for a number of reasons, including the inability to secure necessary regulatory, stock exchange or other approvals in the time assumed or at all, the inability to obtain financing to fund the cash portion of the purchase price in the time assumed or at all, or the need for additional time to satisfy the conditions to the completion of the Acquisition. In addition, there are no assurances the Acquisition will be completed on the terms disclosed herein or at all or that if completed that Clean Seed will achieve the anticipated benefits thereof. Accordingly, readers should not place undue reliance on the forward-looking statements contained in this news release concerning the Acquisition. There can be no assurance that such statements will prove to be accurate, as actual results and future events could differ materially from those anticipated in such statements. Clean Seed disclaims any intention or obligation to update or revise any forward-looking statements, whether as a result of new information, future events or otherwise, except as required by law.